Glicee on canvas, 3 sizes Sm 24" x 42", Med 27.5" x 48", Lrg 36" x 62"
Artist David Miller has created a collection of window pieces. Currently there are 13 images in the window collection growing at approximately 2 window paintings per year. Each window painting is a unique vision of paradise viewed through a window with open shutters catching shadows giving the illusion of a three-dimensional image. From seascapes to Italian Villas, the variety of colors and emotional representation changes with each new window painting. 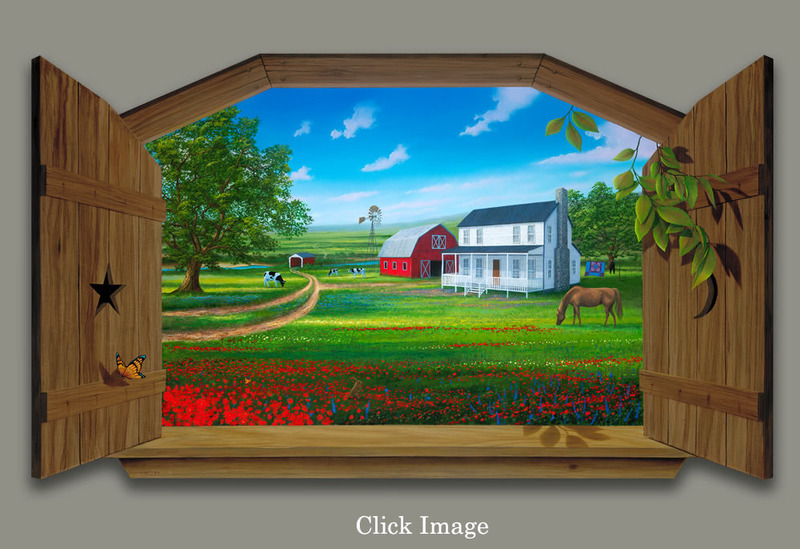 No matter what your room or decor, a David Miller Window painting can bring a vision of paradise into your home.